Greek food has been brought deliciously to life at Simply Greek — Waterloo’s newest, and possibly finest, Greek restaurant. Greek cuisine is well-known for being delectable as well as nutritious — and the many available dishes offer something for everyone. Greek recipes use olive oil, olives, tomatoes, spinach, cucumbers, a variety of beans and lentils, feta cheese, yogurt and eggs. Main proteins include fish, lamb, pork and chicken. 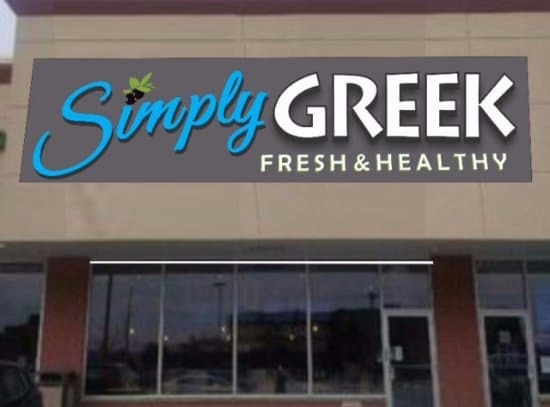 Simply Greek promotes itself as offering fresh and healthy choices — and rightly so. Foods are garden-fresh, wholesome and succulent — and are always made so much more inviting by the colourful, appealing presentation. These are authentic Greek recipes, and the many choices allow for something new and different every day of the week.